Thank you everyone for your encouragement after I shared my knitting failure. I took your advice and got back on the horse this weekend, making this super simple dish scrubby/face cloth/wash cloth/whatever. It felt good to just knit a little something without caring about how it turned out. I've been on a reading binge the last few weeks. Are you familiar with Susan Ariel Rainbow Kennedy, also known as SARK? She is a funny, endearing, inspiring artist who has written many wonderful books. 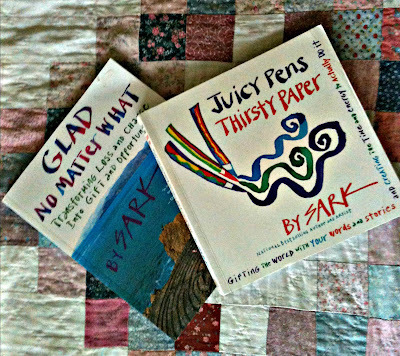 I recently read her last two books, Juicy Pens, Thirsty Paper and Glad No Matter What. They are completely handwritten in bright colors. If you are a writer in need of inspiration and would like to join a supportive online community, SARK offers the Write it Now (WINS) program. There are tele-classes, interviews with writers and publishers, a forum for sharing and asking for support, and more. To learn more, visit PlanetSark or sign up for the free live phone call with SARK this Thursday. The next session starts in July. 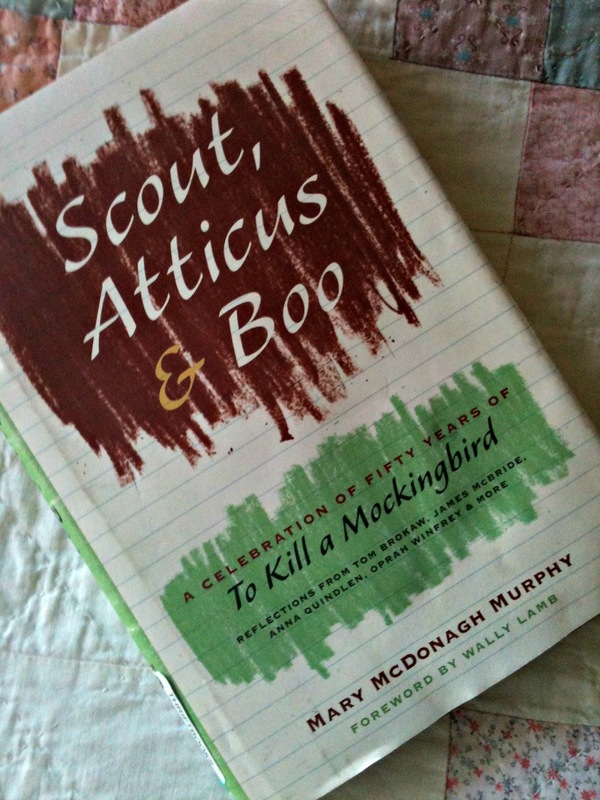 Another terrific book I've been reading is Scout, Atticus & Boo, personal essays from a variety of people such as Oprah, Wally Lamb, and Tom Brokaw, about the impact the book To Kill a Mockingbird had on them. Wow is it good. If you are a fan of Mockingbird, I recommend this book. There are more books, but I will save them for next time. I also have some knitting projects in mind to start pretty soon, so hopefully I will have something knitting-related to share in the coming weeks. I'm reading "The Help" and it's an eye opener for me. Sheltered life that I've had. Don't be so hard on yourself with your knitting. At least you can knit and I think you do an awesome job! 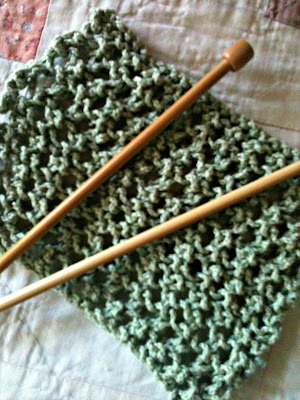 That stitch produces such a lovely texture, it is perfect for a dish cloth for sure! I'm glad to see a knitting success, this is the start of many more to come! I really like your cloth, the perfect pattern to get back on the saddle with. The art books sound interesting, I will have to look for them sometime. Glad you found your groove again Stacy, the cloth is very nice. I have not heard of STARK, but will be picking up these books along with Scout, Atticus & Boo. I love To Kill a Mockingbird, the book and the movie. Usually I am not a fan of books made into movies, but this one I like. I am reading all the Mary Karr books, Liar's Club, Cherry and lit. So far I am enjoying Liar's Club, it is different from how I was raised. 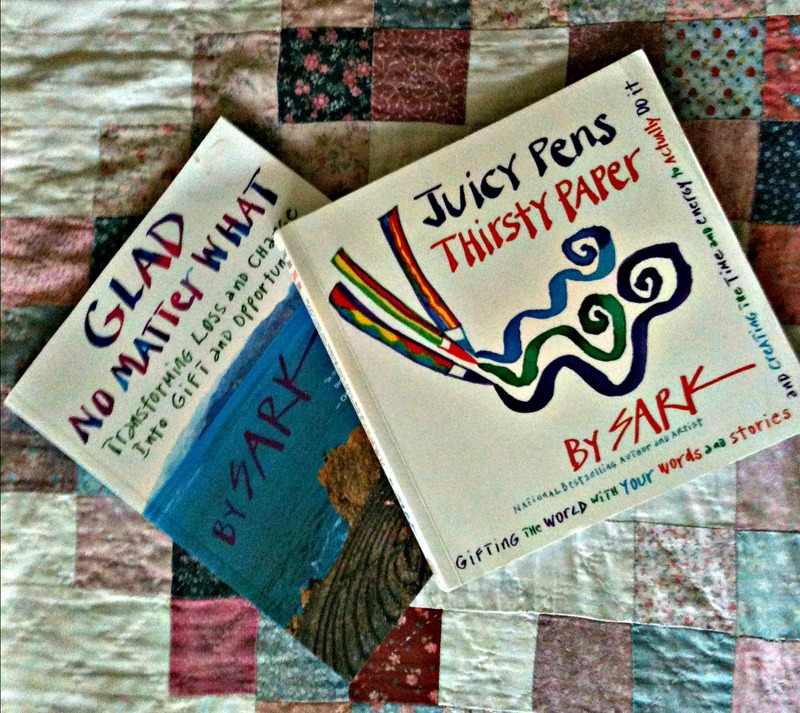 Those sark books look really interesting -- and pretty. Glad you're back on the horse -- that's a fun washcloth! I am confused by the pattern. In row three, you are reducing the number of stitches every time you do a K2TOG, but I don't see where you add back those stitches. Won't you end up with a triangle? Row 3: *K2TOG, YO* across the row, knitting the last stitch. Repeat those three rows until it reaches the size you want and then bind off. I used Soja worsted weight yarn and size 10 needles. i love the texture of your cloth~ looks like it would feel good on the skin~ pair it up with some brown sugar scrub & what a great gift you would have! I shared this pattern with a friend and she got a lot farther on it than I did. Even though I am a new knitter I thought it was strange K2TOG because I know that means decreasing. Thanks for the correction on the pattern! Beautiful cloth! I so much love the stitches and the color. I taught myself to knit and had no less painful at the beginning :). Now I'm happy I can knit and I cannot stop knitting!